Tact Recordings debut release by RJ Fletcher was an instant success for the label garnering support from the likes of Christopher Rau, Anton Zap and Ethyl. 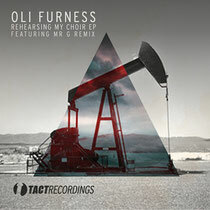 Now this promising young label returns with a new single from respected DJ/producer Oli Furness, entitled ‘Rehearsing My Choir’ EP. As a member of the Hacienda Booking Agency Oli’s productions are deeply rooted in acid house and the classic sounds of electronic music, utilizing Roland drum machines and synthesizers to achieve that sought after analogue warmth. 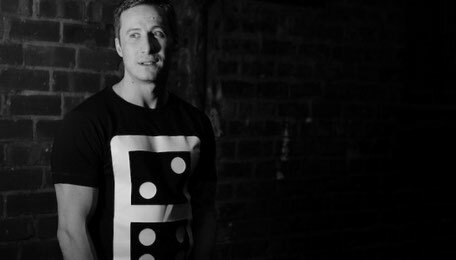 He has previously released on Recore and Pole Position Recordings and performs as both a DJ and as a live act. ‘Rehearsing My Choir’ opens with ‘Less Is More’, a well constructed amalgamation of warm pads and melodic chord stabs layered alongside a rolling 707 drum pattern. The toms act as the driving force whilst intricacies in the melody steer the track in a progressive direction creating a track with intensity and charm. To fit with the machine love theme of the release Tact welcome in Rekids artist Mr. G for his ‘Tiltered’ interpretation of ‘Less Is More’ and as expected the resultant mix is raw and relentless. Mr. G takes the main stab and a slice of the vocal from the original and working in a subtly modulated analogue bassline, stamps his captivating signature style on the recording. Closing track ‘Runaway’ show’s Furness’ breadth of production ability and know how. The composition ebbs and flows through baroque key and structure changes, yet maintains its musicality as additional elements creep in, in a typical call and response fashion.